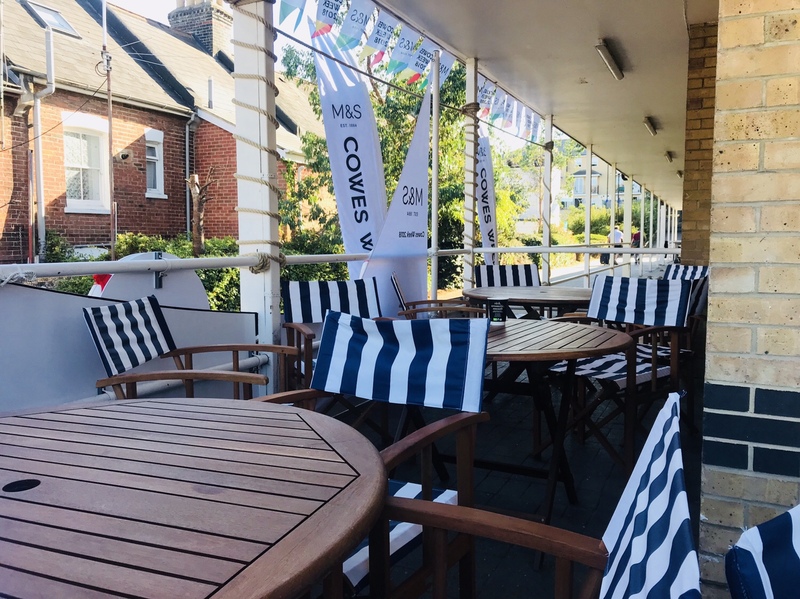 The store’s nautical make over even has an outside seating area so you can enjoy the cracking weather we’re having at the moment. 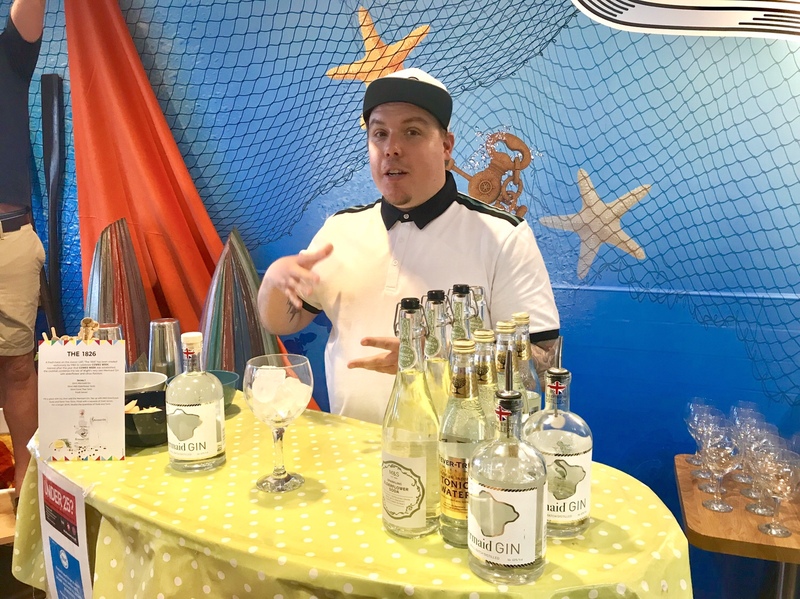 The Mast & Sail bar, made by local suppliers on the Island, is serving lots of drinks including local tipples Goddards Brewery, Ale of Wight and Mermaid Gin. 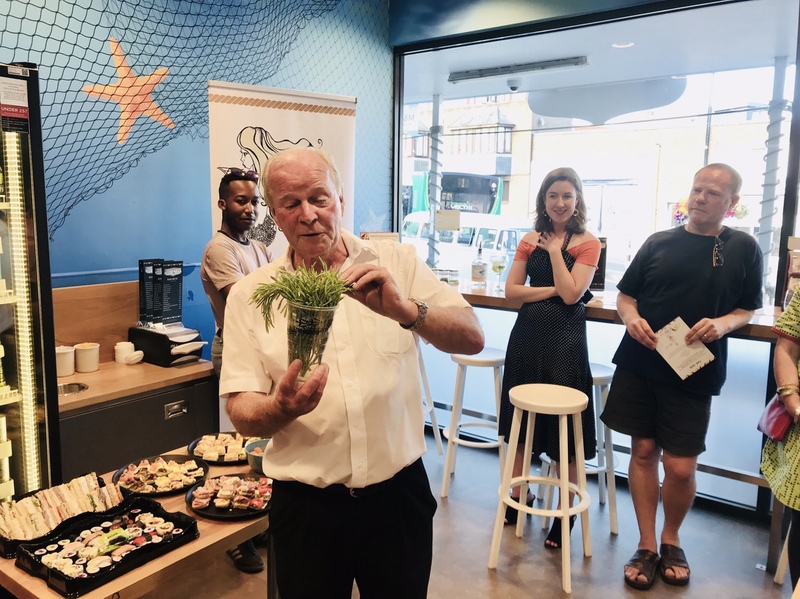 I love that the West Cowes store stocks local products and that the bar will be using biodegradable cups. It’s great that a big company is thinking about the smaller details. Kicking the evening off Malcolm from Mermaid Gin gave us a talk about all the lovely botanicals in the gin. He also told us about the special local ingredients which shape the flavour. Locally foraged rock samphire is one of the main ingredients which gives it its salty edge. 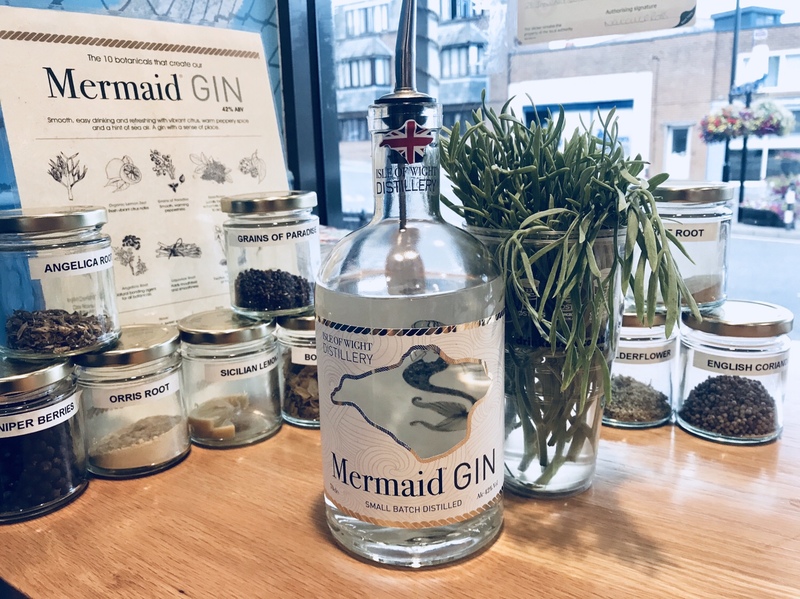 Mermaid Gin and the botanicals that go into creating the delicious tasting drink! We had a bar flaring cocktail masterclass where Luke, a mixologist who is excellent at flaring, showed us how to do some tricks. I can’t even pretend I was any good, dropping the bottle on more than one occasion – oops! Thankfully Luke was really patient and got us all up to perform our new skills, or lack of them, to compete for a bottle of gin. Safe to say I lost but I gave it my all including throwing all the limes and stirrers everywhere- ha ha! Luke wows us with bar tricks – check out my instagram for the best Boomerangs! 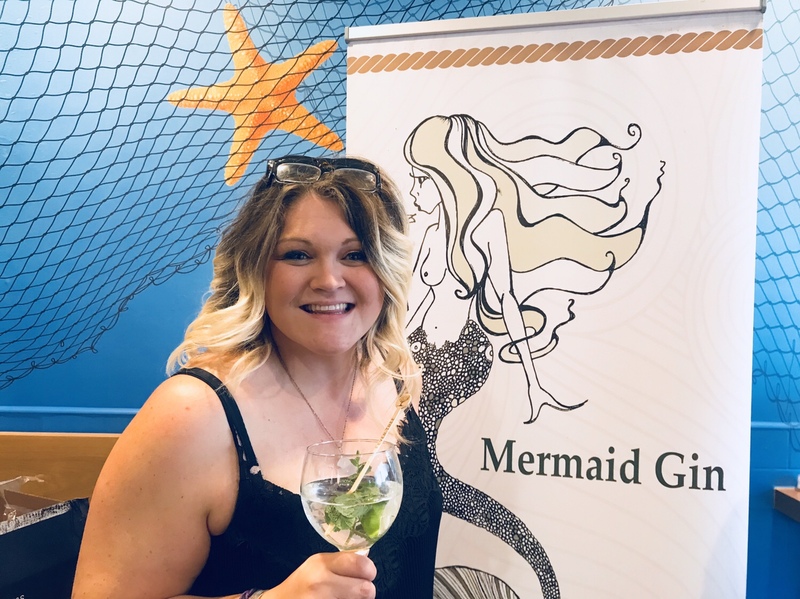 The 1826 limited edition Cowes Week cocktail has been exclusively designed in collaboration with Island-based Mermaid Gin. Complementing the elderflower and citrus note in the gin, the cocktail includes M&S Elderflower Soda, Fever Tree Tonic and fresh lemon for a twist on the traditional G&T. The cocktail was delicious and as you can tell by big the big fat grin on my face I’m enjoying it immensely. There’s loads of fabulous gins available, all geared up for a week of sailing celebrations. 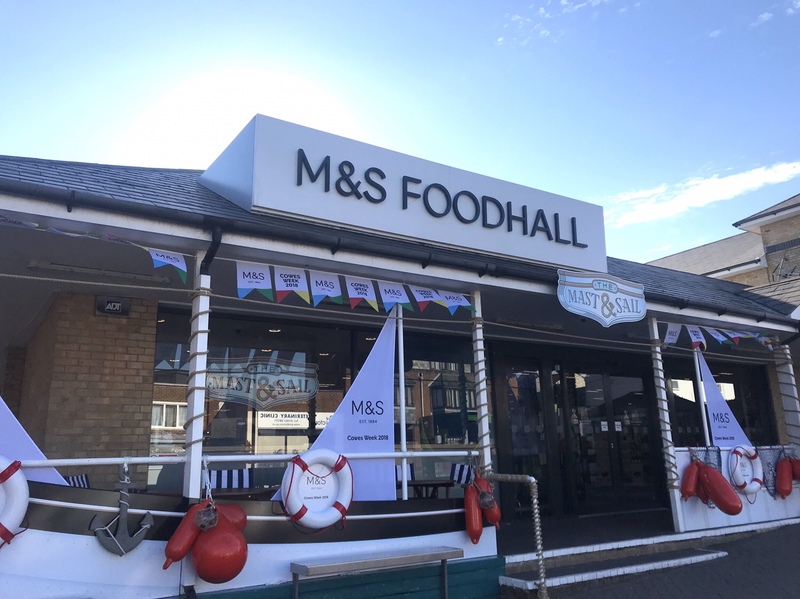 The West Cowes Marks and Spencer store manager, Michael Betchley, and his team also have plenty of picnic items and offers on during the week to feed hungry sailors and spectators. Personally I’ll be heading to pick up some of M&S’s Taste of the British Isles range, featuring snacks inspired by regional delicacies! 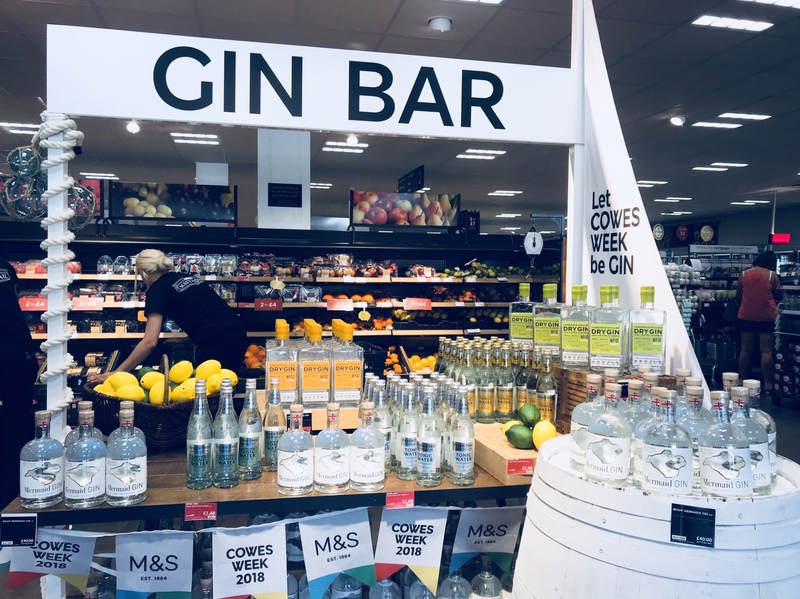 Let Cowes week be GIN! 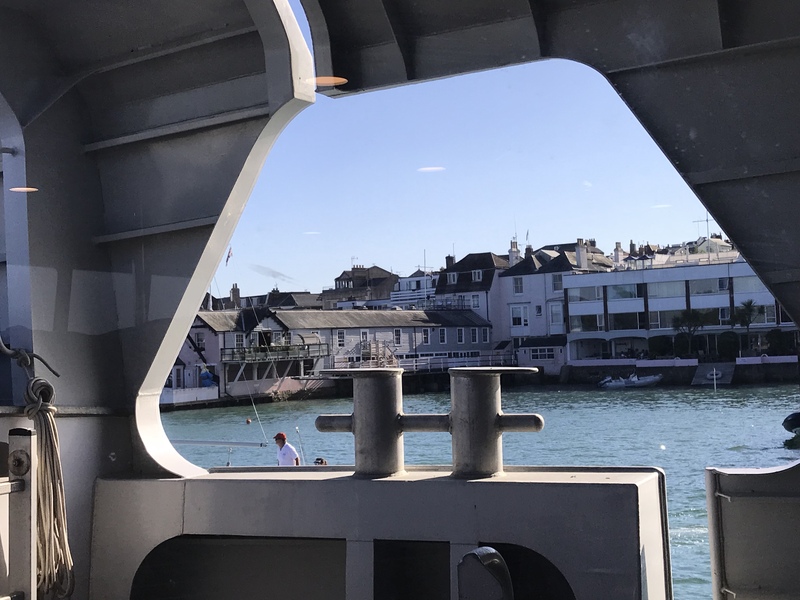 Headed over the Lendy Cowes week? Why not visit the pop up bar? Here’s all you need to know including when, where and the times gin tastings are on. 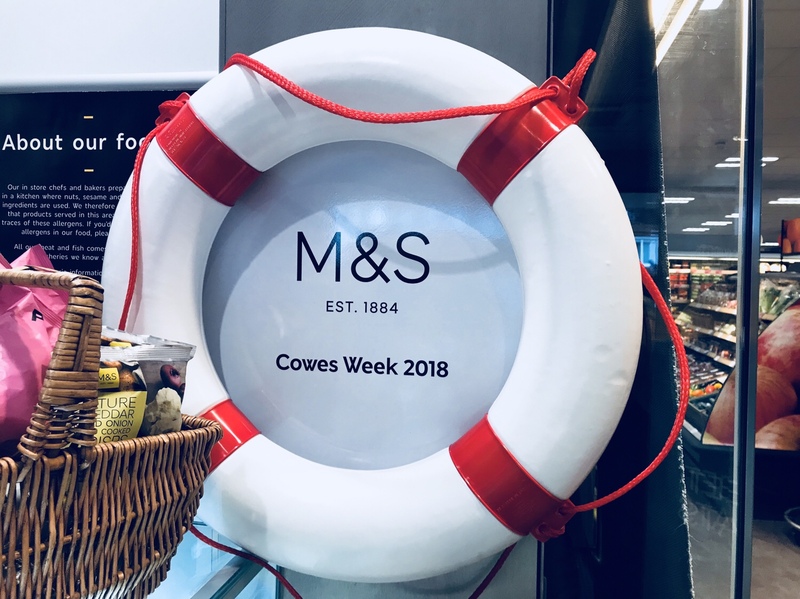 A huge thanks for Marks and Spencer for inviting me to a fab evening of throwing cocktail shakers, making The 1826 limited edition drink and eating delicious M&S nibbles! PR gifted trip and experience – but, as always all opinions are my own, otherwise what’s the point?! This seems like it would make for a really fun event! I would probably be terrible at the mixing tricks and drop the bottle endlessly. I was never any good at those sort of things but it sounds like a lot of fun to try!